Muhammad Ali Jinnah, the father of Pakistan himself, attacked the Bengali language in Dhaka himself. In 1948, before announcing the convocation of Dhaka University, he announced that “Urdu will be the only state language in Pakistan.” On the contrary, two students said, “No, no, no.” In response to his remarks, the people of East Pakistan stood up. They want freedom of mother language. The riots took place between the East and West Pakistan and the mother tongue. The government of West Pakistan cheated them in different ways with the convenience of the people of East Pakistan. Jute was born in East Pakistan. But by purchasing jute from here, they used to make jute mills in their own areas and used to manufacture jute goods in East Pakistan. There are more examples of this. But the people of East Pakistan first fought against them for their independence of the mother tongue. The revolutionary people protested vehemently and exuberantly against the one-sided declaration of Jinnah. The revolution remained surpassed or hidden for a short period but came to light again after Khawaja Nazimuddin’s declaration “Urdu shall be the state language of this country”. The exact brutal, inhuman beastly behavior or anti-national conduct came to light and then spread all over the country in a struggling manner/nature. The Pak- class strives on their best trying to control or suppress it out of strong rage. At last in the 21st February 1952, the heroic people called upon a Hartal demanding Bangla as Mother Tongue to be established. The Pak-ruling class banned the procession, meeting, and picketing all over East Pakistan to suppress the protest. The bold, daring and protesting students of Dhaka Varsity violated section 144 and brought out a procession. But the protest turned itself into an extreme nature through bringing out a protesting procession against it. The ruling class imposed and proclaimed section 144 against the procession. People in our country uttered a slogan, “As state language, we want Bangla”, the police force opened fire on the protesting students in the procession. As a result, Salam, Barkat, Rafiq, Jabbar, Shafiq, and many unknown students were killed on the very spot. The struggle continued in its new spirit. The students and political leaders burst out in anger and resolved within themselves to strict the fang of the brutal Pak-rulers. People of all classes came forward with one voice neglecting their daily works for livelihood. They took an oath to lay down their lives for this noble cause. People are in the source of all power of the govt. Then the Pak-ruler realized the gravity of the then situation and recognized the legal demand of Bangladesh his. The worthy sacrifice of the Language Martyrs did not go in vain or was not nipped in the bud. They went down in history. The Language Movement inculcated a new idea and conception into our mind that an independent culture would be a must for the Bengalese. The day has two-fold manifests the Language Movement Day and the International Mother Language Day, Considering the Bengali Nationalism and the importance of the day UNESCO liberally declared the day as International Mother Language Day in 2000. Then the day gained new momentum. The day was declared as a public holiday. 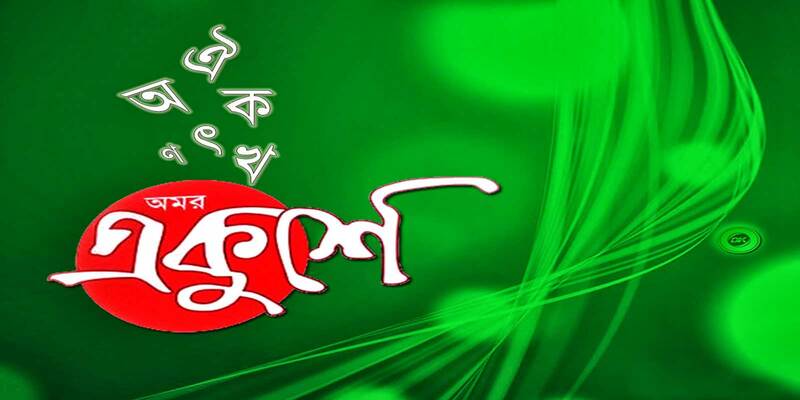 The new millennium: In the context of the background of the Language Movement the new millennium has opened with International Mother Language Day or Mahan Ekushey February. The UNESCO declaration helped us achieve global recognition and it is a grand success for us. Like every year this 2019, International mother language day will be observed throughout the world. 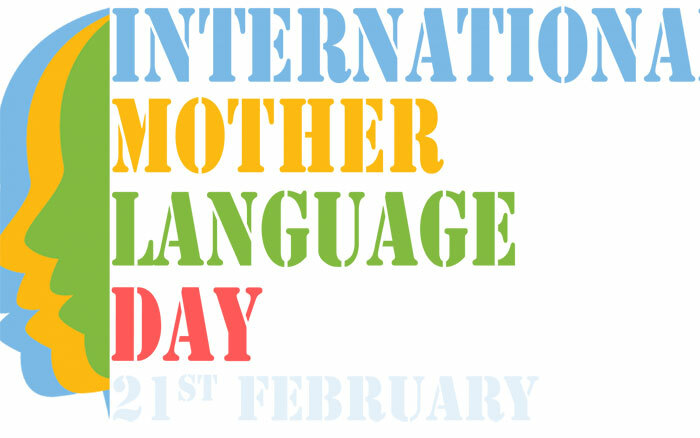 Every year international mother language day is celebrated with a particular theme. 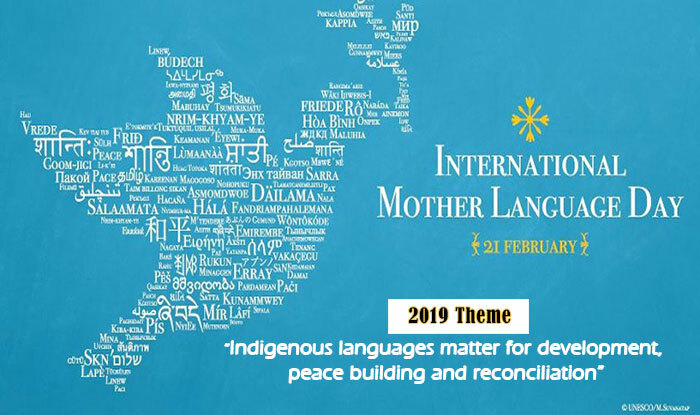 International Mother Language Day 2019 theme is Linguistic diversity and multilingualism count for sustainable development. The national flag on the observance of the day is kept hoisting at half-mast everywhere. People erect a Shaheed Minar and put flower garlands on the altar of the Shaheed Minar as a mark of respect and remembrance. They also hold a condolence meeting before it. They make speeches, offer fateha for the salvation of the language martyrs of 1952. BTV and Bangladesh Betar put up special programs People bring out a Provat Fery in the morning with a patriotic song in a chorus- Amar Bhayer Raktey Rangano Ekushey February.” The chief of the country puts garland at the feet (altar) of the Central Shaheed Minar at 12 midnight paying a rich homage to the mother tongue and the language martyrs as well. During the event of international Mother language day, different types of activities have been seen. Student of school start really and precession bearing the Festoon Play card. School authorities organized different competition like International mother language day paragraph, 21st February Composition, Ekushey February essay in Bengali etc. In Social Media, People loves to Share Language Day Quotes and 21st February Images. It is a symbol of love to their language, their emotions and opinion. We have organized something for you. Before the declaration of International Language Day, a few nations in the world were familiar with this 21st February. It got a worldwide circulation and identity with all the nations after it had been declared as the International Mother Language Day. We, the Bangalees, are grateful to the UNESCO for this noble and worldwide declaration. Due respect will be paid to our language if it is used in all respects. And then comes the question of International Mother Language Day which deserves to be paid a rich tribute.